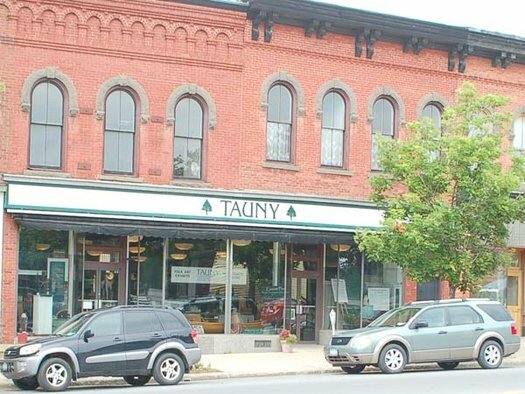 When people stop in at the TAUNY Gallery or North Country Folkstore or call on the phone, they often ask some interesting questions about us and what we do. Here are some of their frequently asked questions--and our answers. Question: What are "traditional arts" and what does that have to do with me? Answer: "Traditional arts," a term we use more than "folklore," covers a wide range of expressions people use to identify with different groups or cultural communities. These expressions can be oral (stories or sayings), musical (songs or dances), customary (superstitions or holiday celebrations), or material (crafts, food or architecture). Many of these expressions are artful and are intended to be, especially as judged by others from the same group, using standards passed down through the generations. We all belong to some kind of group or community with traditions, sometimes to several at the same time. Such groups form around common connections, such as shared occupations, ethnic or national origins, religion, avocations or pastimes, age, gender, or family. One shared connection that is particularly of interest to TAUNY is region or place, focusing on what we have in common because of where we live. Folk traditions--like dialects or food choices or buildings--can vary significantly from place to place but likely have changed little over time in each place. The expressions that we use to identify us with our folk groups or communities originate in the group, are traditional to the group, are most often several generations old, and are passed from one generation to the next informally within the group, by word-of-mouth, example or imitation. "Folklore" is not taught in formal settings--from books or in classrooms--but from sources in the family or community itself. That is why we all have folk traditions and why they can vary so much. Question: What is "upstate New York"? What is the "North Country"? Answer: To those from the metropolitan area of New York, "upstate" can be a few miles north of the city, like Poughkeepsie. For those of us living north of Albany, upstate is the "North Country." There is, however, considerable disagreement about boundaries. Some insist that only the counties along the northern border are "North Country," and that the "Adirondacks" are not included. For TAUNY'S purposes, we accept the definition of the region as north of the Mohawk River, since most of us in these 14 counties have common experiences with long and cold winters with plenty of rugged weather, short growing seasons, difficult terrain, a stable population and economy, and no major urban centers. We all feel remote from the rest of New York and, quite often, remote from each other. Sharing all of these characteristics has helped to shape an identifiable regional culture. Of course, there are numerous variations within the large region--which contains the Adirondack Mountains, the Lake Champlain Valley, the Tug Hill Plateau, and the Thousand Islands in the St. Lawrence River, for instance--but variations are an important part of the definition of folk tradition. Question: What is unique about traditions of the North Country? Answer: "Unique" is not a concept folklorists accept for most of the expressions they encounter, since most traditional expressions are variations of something from somewhere else. There are, however, a number of things that are especially common in or special to our region. Several examples follow: fiddling is the most common traditional music; cheese, apples, wild game and maple products are our native foodstuffs; and canoes, skiffs and guideboats have become icons of outdoor recreation for many who live or visit here. And, for truly authentic experiences with life in our region, look for such things as Adirondack rustic furniture, "michigan" hot dogs, Mohawk sweetgrass baskets, and bullhead feeds. Question: What can I see and do when I visit TAUNY? Answer: On a visit to our galleries and offices in Canton, you can see exhibits of objects and photographs that illustrate current topics from our research; these change two or three times each year. You can also peruse the North Country Wall of Fame, a permanent gallery of portraits of annual North Country Heritage Award recipients. Be sure to browse in our museum shop, the North Country Folkstore, which features the best of traditional arts, crafts, recordings, and books from or about local people. In addition, we at TAUNY pride ourselves in being a good source of local knowledge about life in the North Country, and we are most happy to share what we know with visitors. See our Programs and Services page on this site for more details. Question: Is TAUNY a museum or a historical society? How are you different from them? Answer: By strict definition, we are neither a museum nor a historical society. A museum collects artifacts with a responsibility to preserve and care for them into the future. They are likely to present them in historic houses or in exhibitions with interpretation of their use and style. A historical society usually has the mission of collecting documents-- diaries, letters, newspapers, etc.--to preserve them and present an interpretation of the past. TAUNY is different from either because our goal is to collect, study, and preserve a record of living history from current residents. We are particularly interested in finding examples--oral, musical, social, or material--of how ordinary people express themselves artistically as a way of identifying themselves with certain communities and their traditions. Since "tradition" implies historical precedents, we are interested in exploring the past of such expressions and the context for creating and using these expressions in the present. Question: I thought you were another gift shop. What else do you do? 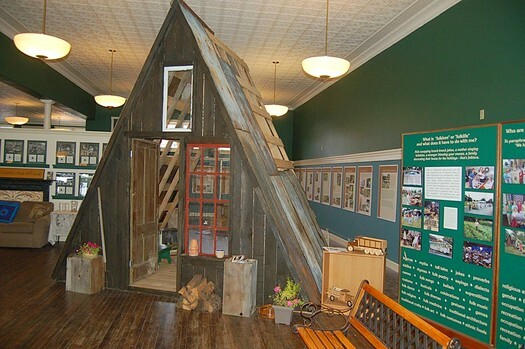 Answer: While we operate the North Country Folkstore at our center in Canton, it is not intended as a conventional gift shop but as an outlet for traditional arts and crafts, recordings and publications relevant to our mission. Our shop provides income for local traditional artists and a small portion of TAUNY’s annual operating budget. Since we are a folk arts organization, we do all kinds of other things, from original research to exhibits to radio programs. See our Programs and Services page on this site for more details. Question: What is your annual budget? Answer: Our annual operating budget is about $362,000, which includes our expenses for personnel, mortgage and utilities, insurance, ongoing educational programs, and member services. Question: Where does your money to operate come from? 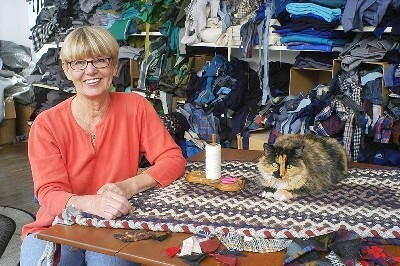 Answer: Our general operating support has come from public funds from the Folk Arts Program of the New York State Council on the Arts, a state agency, from contributions by foundations or businesses, and from earned income from donations, classes and workshops, and the North Country Folkstore. Major projects have also been funded by the National Endowment for the Arts, the New York Council for the Humanities, and the Sweetgrass Foundation. Generous support from North Country businesses is used to underwrite exhibits and programs and membership income supports general operations. In-kind help from individual community members and professional colleagues, as well as local businesses, arts organizations, and colleges has helped us to keep costs down and to keep providing services. Question: What are your dreams for TAUNY’s future? Answer: We dream about and are planning for growth and development in our home at 53 Main Street in historic downtown Canton. Our large and newly renovated space includes exhibition galleries, shop space and archives. Phase 2 renovations added and enhanced rooms for workshops and classrooms, a public meeting space, and offices. Question: How can I get involved with TAUNY? Answer: We welcome your help in all kinds of ways: give us suggestions for people to meet and projects to do, come to our programs, visit our galleries and our shop, support traditional artists in your own community. In addition, you can help support us by becoming a TAUNY Friend, volunteering your time, or contributing to our endowment. See the Support TAUNY page for details.